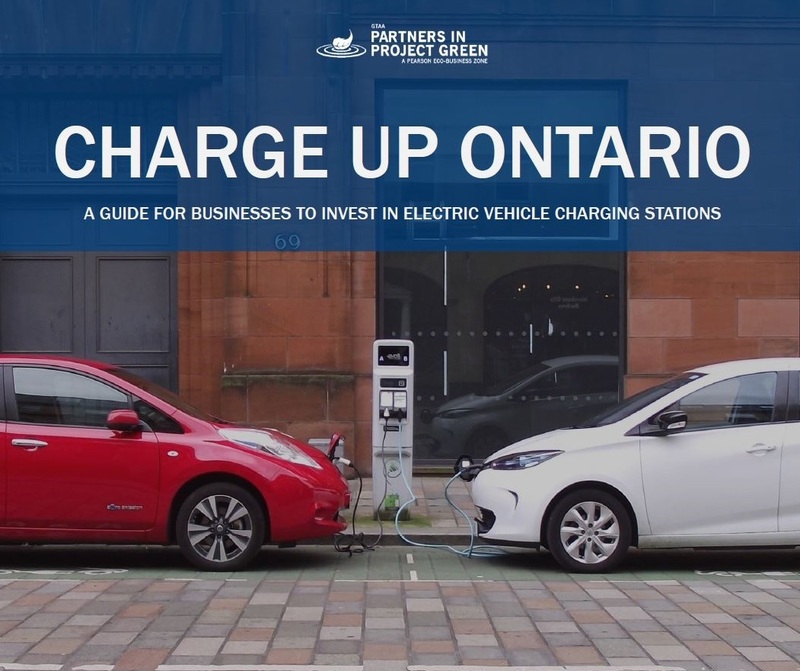 From 2014-2017 Partners in Project Green worked with 17 organizations within our business community to install 124 electric vehicle (EV) charging stations across the GTA. Several of these installations were the first large-scale deployments of their kind in the country and participating organizations continue to be leaders in supporting EV infrastructure. Gathering the lessons learned from this project, we have produced three educational videos and a comprehensive report that sustainability champions can use to justify investing in workplace and public EV charging stations and as guidelines on key considerations for equipment procurement and strategies to reduce project costs. Over the last two years, Ontario’s government has developed several of the world’s most progressive EV adoption strategies, establishing the province’s position to lead the country in widespread adoption. EV charging station installation projects present both a challenge and an opportunity for early-adopting organizations. But those that are first to provide the service will stand out, projecting a greener image to their employees, customers and peers – while employing a strategy that helps meet CSR goals. This report is a how-to guide for businesses to evaluate and successfully implement EV charging station installations. What are the environmental and financial benefits of EVs? How will Ontario’s EV landscape change over the next few years? Are the EV charging stations currently installed being used? What are key considerations to ensure a successful project? What are typical costs and who are the service providers? What are the lessons-learned from early adopters? If you need help assistance getting your EV charging stations installed quickly and cost-effectively or to enquire about membership, contact Partners in Project Green.